After several hours and dozens of speakers, the town board voted unanimously to delay the decision to settle the Ruland Road law suit. The lawsuit was initially brought by the Huntington Branch of the NAACP, Fair Housing in Huntington Committee, Inc. (“FHHC”), and several plaintiff’s including; Athena Hawkins, Ian John and Lynda John, Jasmine Curtis, Shavonda Belton, and Serena Camardi. As of today, the NAACP is the only remaining plaintiff. In the original lawsuit, the town is accused of rejection and obstruction of repeated efforts to create affordable-multi-bedroom housing in Huntington’s overwhelmingly white neighborhoods. The defendants claim to have an extended and well documented history of the town concentrating minorities in the least desirable areas of Huntington in violation of the Fair Housing Act. In 1988, the Second Circuit Court of Appeals found that the town was in violation of the Fair Housing Act and directed the United States District Court for the Eastern District of New York to compel the Town to amend its zoning laws to allow a nonprofit, multi-family housing development to be built in a white area. According to the lawsuit, the Town had refused to allow affordable multi-bedroom family housing to be built in the white areas and instead concentrated affordable multi-bedroom family housing in the disproportionately minority, low-income areas around Huntington’s railroad station. In July 1999, SBJ Associates, LLC and Ruland Road LLC, submitted a change of zone application in order to permit the construction of 92 two-bedroom and 30 three-bedroom affordable rental units at the Ruland Road site. According to the lawsuit, the units were supposed to, among other things, mitigate the lack of affordable multi-bedroom housing at the development known as the Greens at Half Hollow. The two- and three-bedroom plan for Ruland Road was never formally acted upon by the town. Instead, the Town directed the developer to withdraw the two- and three bedroom plan and to replace it with a plan for all one-bedroom units. In June 2000, the developer withdrew its plan to construct affordable multi-bedroom housing at the Ruland Road site and, on September 11, 2000, submitted a new application calling for the construction of 122 all one-bedroom units. The very next day, as stated in the lawsuit, the town board passed a resolution amending its zoning laws to allow for the development of the Greens site. The approval was made contingent upon the developer’s submission of the all one-bedroom plan for Ruland Road. 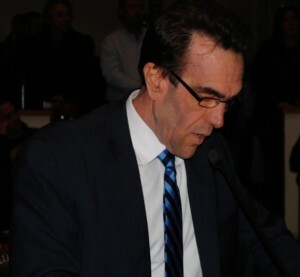 The Town amended its zoning laws to allow the construction of 75 non-age restricted four- and five-bedroom luxury homes and 1,300 senior citizen age-restricted housing units at the Greens site and formally acknowledged the developer’s proposal to construct the one-bedroom affordable units at Ruland Road (“Resolution No. 2000-684”). Approximately two months later, on November 21, 2000, the town passed Resolution No. 2000-850, which amended its zoning laws to permit the development of 122 one bedroom affordable housing units at Ruland Road. In direct violation of resolution 2000-684, the Town granted building permits for all of the market value condominium units at the Greens prior to any building permits being issued for affordable housing units at Ruland Road. In or about 2002, the developer submitted to the Town a site plan application calling for the construction of 120 one-bedroom units at the Ruland Road site. According to the lawsuit, that site plan application was never voted upon or approved by the Town. On February 5, 2008, the developer submitted a revised site plan, this time calling for the construction of 94 one-bedroom units and 28 two-bedroom units. After submitting the plans, the developer met with representatives of the Town, including Supervisor Petrone. According to the lawsuit, at that meeting, the developer was told that the Ruland Road application would only move forward as an all one-bedroom plan. As a result, in October 2008, at the town’s insistence, the plans for Ruland Road were changed back to include only one-bedroom units. 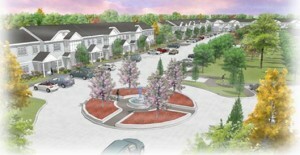 In January, 2010, the developer filed with the Town a revised site plan for Ruland Road, which called for the construction of 122 one-bedroom units at the site. On March 10, 2010, the Planning Board approved site plans for Ruland Road consisting of all one-bedroom units. At the same time it drafted this plan, the Town approved plans for Ruland Road that only included one-bedroom units, a limitation that disproportionately excludes racial minorities and families with children from badly needed affordable housing,” as stated in the lawsuit. As explained in the lawsuit, the power to grant “density bonuses” allowances for more homes per acre than existing zoning would ordinarily allow gives the Town Board and the Planning Board considerable power to dictate what groups of residents a developer will serve. The Town’s Comprehensive Plan provides that in exchange for density bonuses, the town expects property owners to develop some percentage of their property as affordable housing. In some areas of the town, the percentage is significantly higher than others. The lawsuit alleges that the town’s decision to limit Ruland Road to all one-bedroom units was made with discriminatory intent and has a discriminatory impact on families with children and racial and ethnic minorities. According to the lawsuit, the town’s actions constitute both independent and continuing violations of the fair housing laws and the United States Constitution. After hours of commentary on December 10, 2013, the board voted to further delay the project. It is believed that Councilman Cook is the only yes vote to move forward on the project. The lawsuit has already cost the town residents $400,000. Several of the board members are standing firm on the project consisting of only, for sale – one bedroom units. Some feel this is a ploy by these councilpeople to make it appear like they are offering something rather than simply rejecting the project. Professions that we spoke to agree there is no market or funding available to construct one bedroom-for sale units. Some feel the town board members who are opposed to this are aware that a plan like this will never get built and that is their ultimate goal. Some wonder if they are unconcerned if they are in violation of the law and what the final cost to the tax payers will be. Long, costly lawsuits are common place in Huntington. The developer, D&F Development Group LLC of Levittown, is in contract to purchase the property from its current owner, Ruland Road LLC, but the deadline to lock in a contract is at the end of the month, according to Peter Florey (pictured above right), one of the principals of D&F. Florey, who spoke at Tuesday’s meeting (pictured above), said that his company is not interested in constructing the one-bedroom units for ownership and would not purchase the property unless the development requirements are changed to align with the proposed settlement. The delays have been very costly to the developer and it is not likely that he will stick around if the project is further delayed. By my count, there were 27 speakers, including a wounded Iraq war vet, in favor of the Ruland knolls rental project, and 5 against. Since when does this Town get ruled by a minority? It is painfully obvious that a handful of civic leaders in the area affected by this project seem wield much more clout than the general public at large. I learned this first hand when the original Avalon Bay hearings occurred. Too many individuals who would not be directly impacted spoke in favor of that project. Now we have a small group who seem to think their community will be negatively impacted, dictating Town policies that will NOT be for the general good. This has created a air of litigation in this Town going back many years. This must come to an end. As a federal lawsuit dictated years ago, you can’t overburden one community (Huntington Station) and one school district(SD 3) with all the rental housing stock and lower income rentals. Huntington Station already has almost 500 subsidized housing units, plus 65% of the entire Town’s Section 8 rentals as well, plus one of 2 public housing projects. 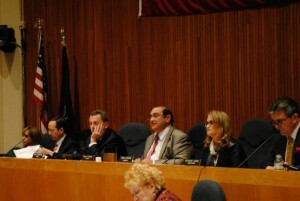 A similar situation occurred in Westchester, and created the same problems for the City of Yonkers. Don’t let that happen to Huntington. It is time for the Town board to be bold and do the right thing. Allow Ruland Knolls to move forward while the developer can still obtain the financing. One bedroom, for sale units just won’t sell in this housing market.